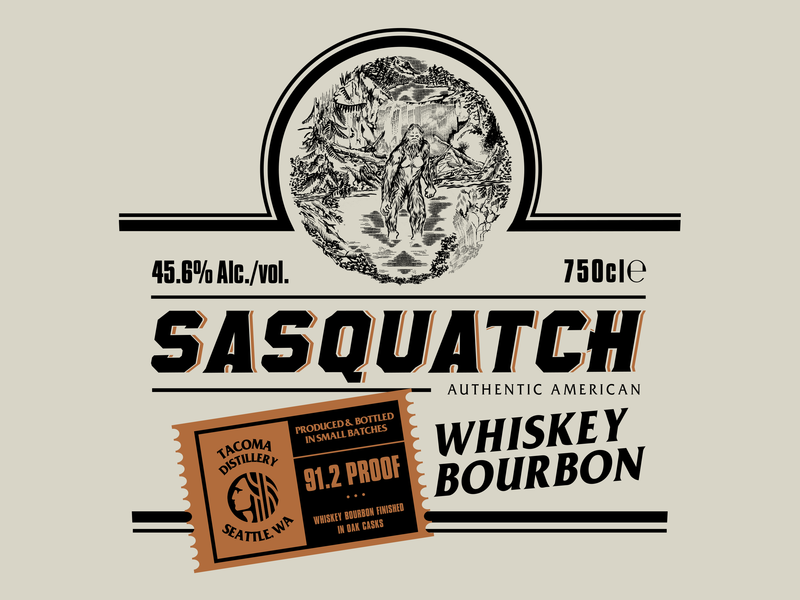 Label design for my latest project of Whiskey Bourbon called Sasquatch. Spirits brand from Seattle, WA that is inspired by the North American folklore. The Bigfoot holds important significance to the Pacific Northwest region of United States.